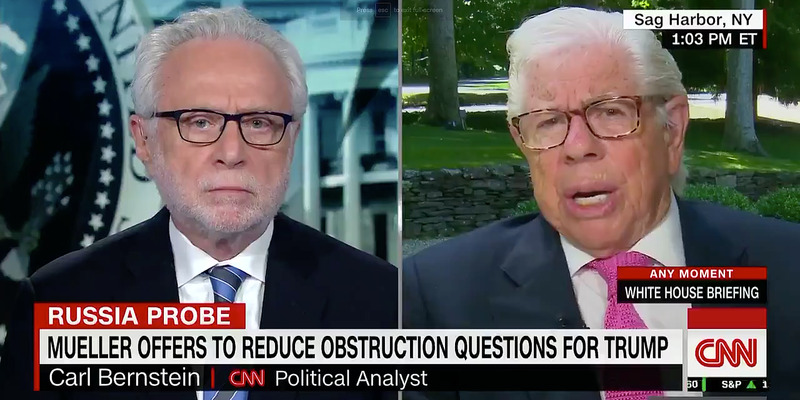 Screenshot via CNNCNN anchor Wolf Blitzer (left) and investigative journalist Carl Bernstein (right). Investigative journalist Carl Bernstein rebuked President Donald Trump for his behaviour amid the ongoing Russia probe in which federal prosecutors are examining the Trump campaign’s ties to Russian operatives who meddled in the 2016 US election. Bernstein said in an interview this week, “the Trump presidency is worse than Watergate,” because of open attempts by the president and his allies to damage some of the long-standing pillars of the US government. Bernstein’s remarks during a CNN interview this week were a rebuke of Trump’s behaviour amid the ongoing Russia investigation. Trump has escalated his attacks on the probe in which federal prosecutors are examining his campaign’s ties to Russian operatives who meddled in the 2016 US election. Bernstein pointed to Trump’s frequent lashing out at the press,whom he has called “the enemy of the American people.” He said Trump has “whipped up a kind of hysteria” around the journalists and news organisations who cover him. 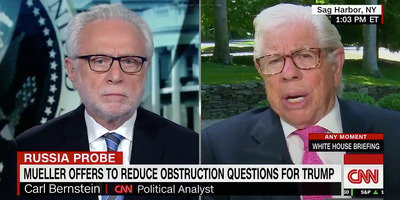 Bernstein continued, chastising the current crop of Republicans on Capitol Hill whom he says have “done almost everything they can to impede and undermine legitimate investigation,” referring to conservative members of the House GOP who have accused the FBI and Justice Department of harboring political biases against Trump. We’re in “a totally different and much more dangerous situation,” Bernstein said.